Home > Safety Tips and Information > Is your family prepared? Every worksite has an Emergency Response Plan in place, but what about your home? One of the most effective ways to prepare your family for a disaster is to create a family emergency plan. Meet with your family to discuss how to prepare for different types of emergencies, such as fire, severe weather, floods, or other common hazards in your community. Your plan will help family members understand what to do during emergencies. Don’t forget to include your pets. Make sure all family members are aware of emergency contact information. Post these or keep an organized binder for information. Keep important family documents in waterproof and fireproof containers or boxes. Have two predetermined meeting places. Choose a meeting place that is close to your residence and one that is outside of your neighborhood, in case you are unable to return to your home, where you and your family can meet during an emergency. 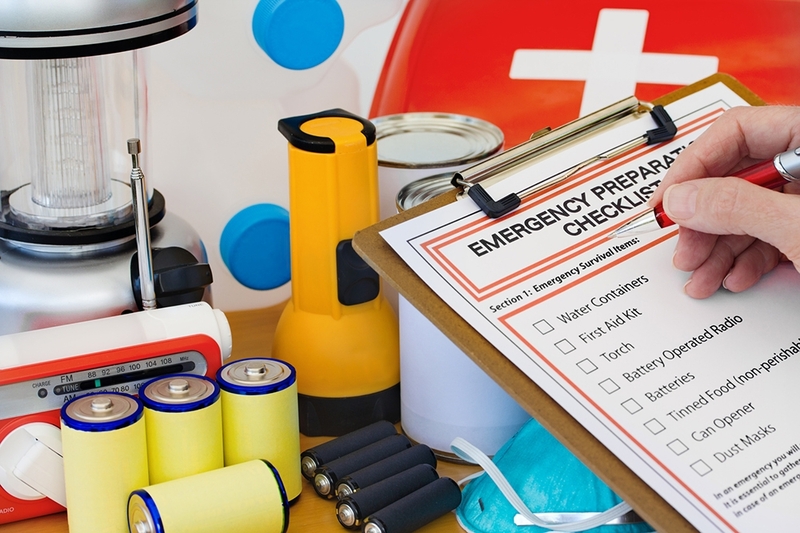 Keep enough emergency supplies in your home for 7-14 days or more if possible. Assemble a family emergency kit. try to change out the water every 6 months if you are able. Be proactive and don’t be afraid to talk to your children about preparing for different types of disasters. Kids are better able to handle the stress of a crisis when they know what to expect. Being prepared and ready ahead of a disaster is the most critical action you can take to protect the things that matter most: your family, your home, your pets, yourselves.